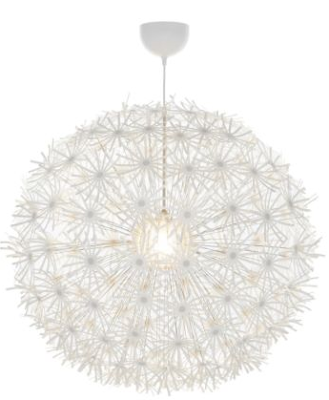 We're currently on the look-out for one, perhaps two, large pendant fixtures for our living room. 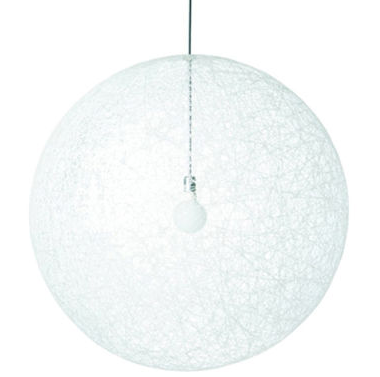 And, of course, like any good mid-century enthusiast, we LOVE George Nelson's Saucer Bubble Pendant. But we'd also like to step out of the box [and back into our price range] a little. which also knocks out Moooi's Random Pendant...rats. 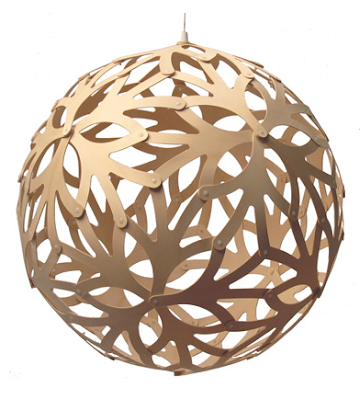 Jax suggested the Sustainable Chandelier by Julianne's Atelier. Made from plastic cups. Wowzer! 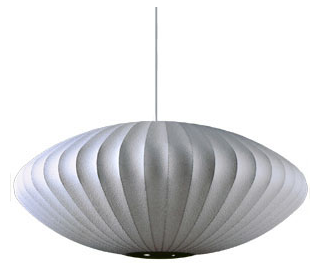 And then another suggestion of the Ikea PS Maskros. I love it via the internet, but I'm curious about how it looks in person. Have you seen it? My price range for affordable modern design: IKEA. I just have to make sure I plan on staying there all day cause it really does take eight hours to go through that store. I think Edgar just needs to get over his aversion to exposed light bulbs so you can get the Floral Hanging Lamp. it's ikea, which i realize is controversial for some. but if that's not an issue, this sure is beautiful ... and the price is right. however, i've yet to see this in person, and would love to see the type of light/patterns it creates. Hope you receive lots of suggestions - I'll be back if I have a lightbulb moment (or come across something)! These are all so cool. I have seen the plastic cup chandelier in a lighting shop in SF. It looks awesome but it still looks like cups! I like the floral one the best. Don't forget to take a glance at etsy to see if there is anything interesting! check this website out suzanne! some of these are really cool! Hey Suzanne! I've been meaning to comment on this ever since you posted! I don't have any specific lighting to show you, but there is a really great little store in downtown! I highly suggest it, even if it's just to get more ideas!